Newsletters with Newsletter2Go are sent in standard HTML format. The advantages: images, links and text formatting are possible. In rare cases, email programs, end-devices or recipients deactivate the HTML format. Then the text version of the email is accessed instead. So that you do not have to create an HTML and text version of your newsletter every time, our newsletter software automatically creates a text version for you from your HTML newsletter. Why use newsletter text version? Spam filters look at a plain text alternative favorably.If you send a HTML-only email, spam filters get suspicious. Why? They think you’re sending spammy messages. After all, a spammer couldn’t be bothered with creation of a newsletter text version. Therefore, you ought to create one. Not every email client or app can handle HTML.Thigs are way better than in the past, however some email clients still don’t support. Others might support it but still won’t display HTML properly. A newsletter text version comes in handy in instances like this. Some prefer it a plain newsletter.There are people out there who enjoy simplicity and they welcome text emails. Content hierarchy and text scanability is always welcome, whether you’re sending a HTML newsletter or a plain text. A neatly organized email makes for a good reading experience. 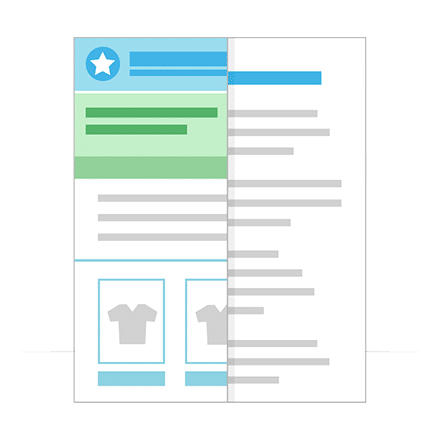 Make sure that your newsletter headlines are clear and stand out for a great user experience. Whitespace also improves email readability because it creates a clear eye path for the reader. Thanks to it, links are easily clickable on a desktop device and touch friendly on mobile devices. If you use dashes, you make sure that the hierarchy of the newsletter campaign is intact. Thanks to it no aspect of the email will be omitted. The CTA is a crucial part of your email campaign and it should always stand out.